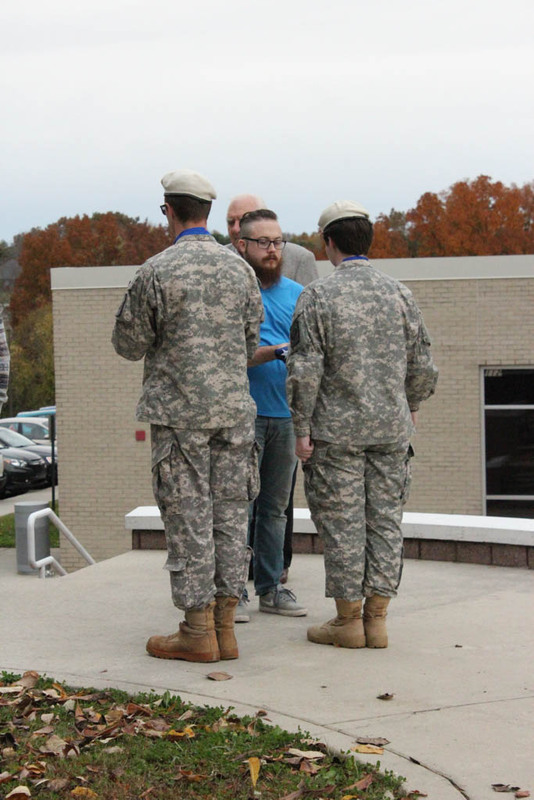 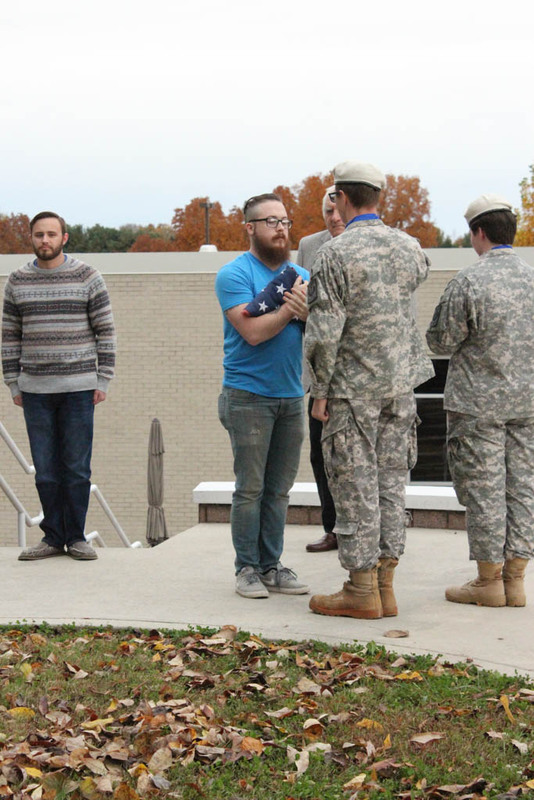 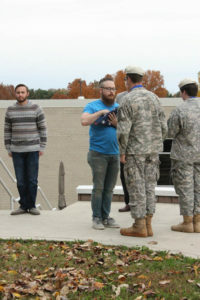 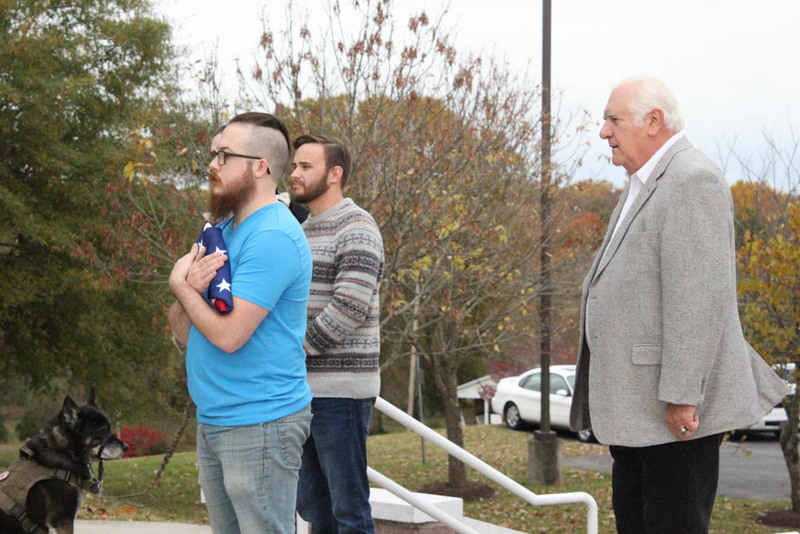 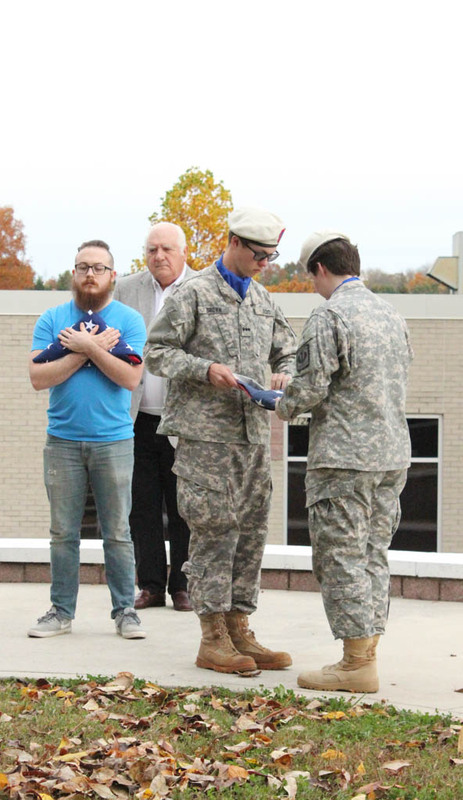 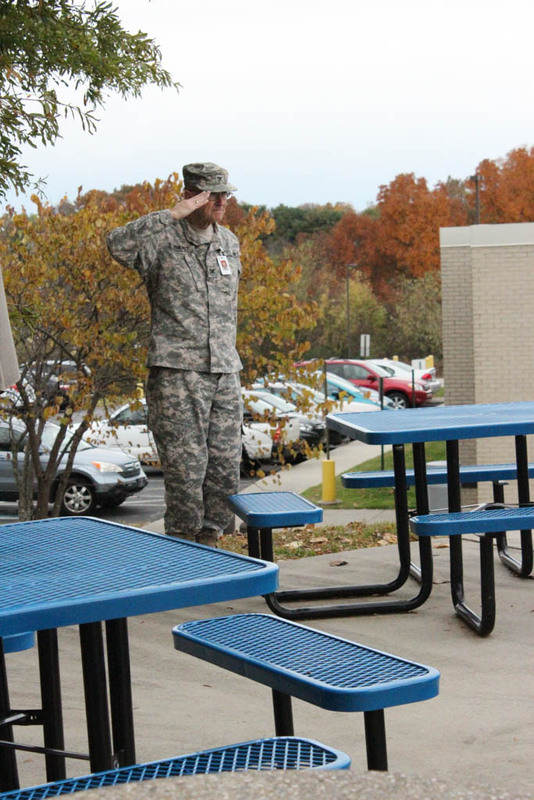 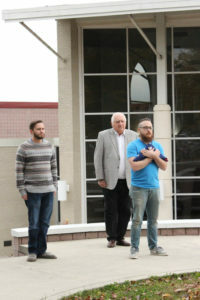 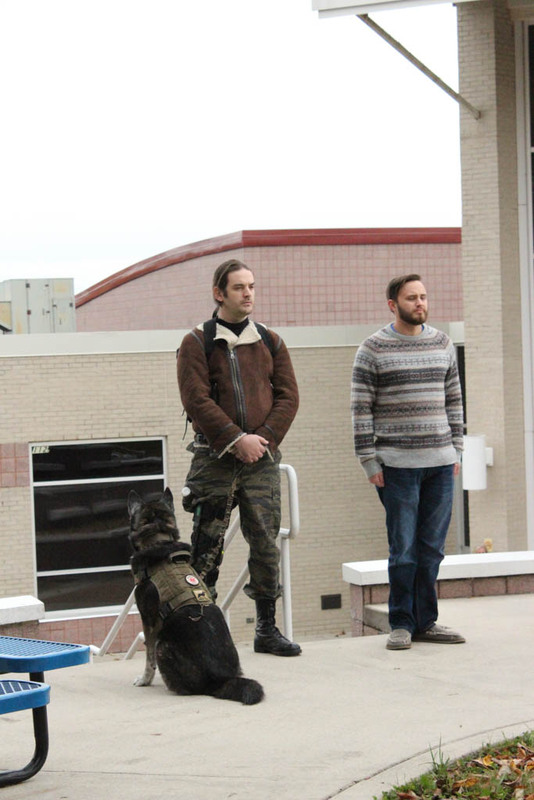 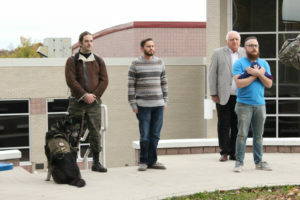 Students, faculty and staff at the Cookeville Higher Education Campus (CHEC) held an event honoring Veterans on Wednesday. 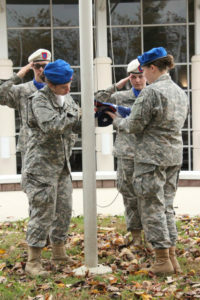 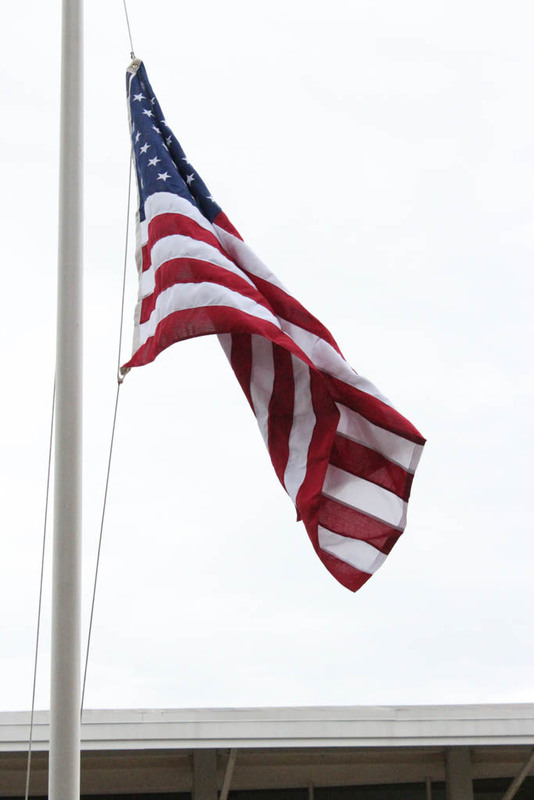 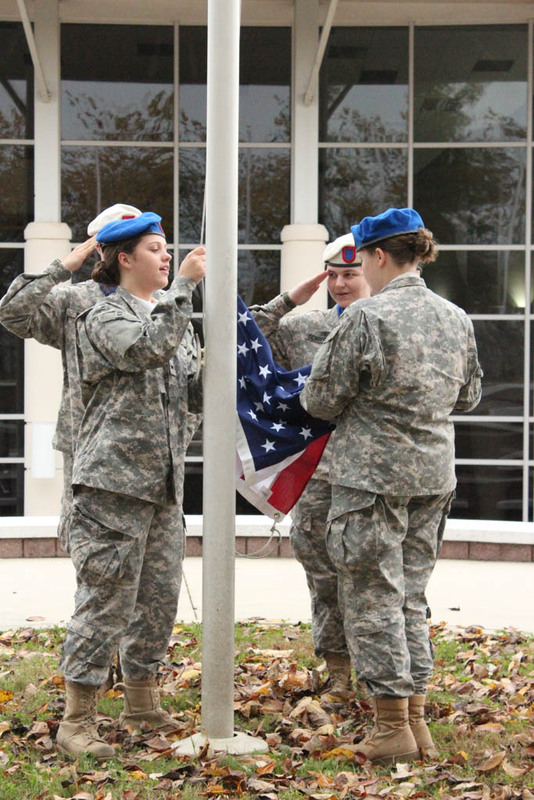 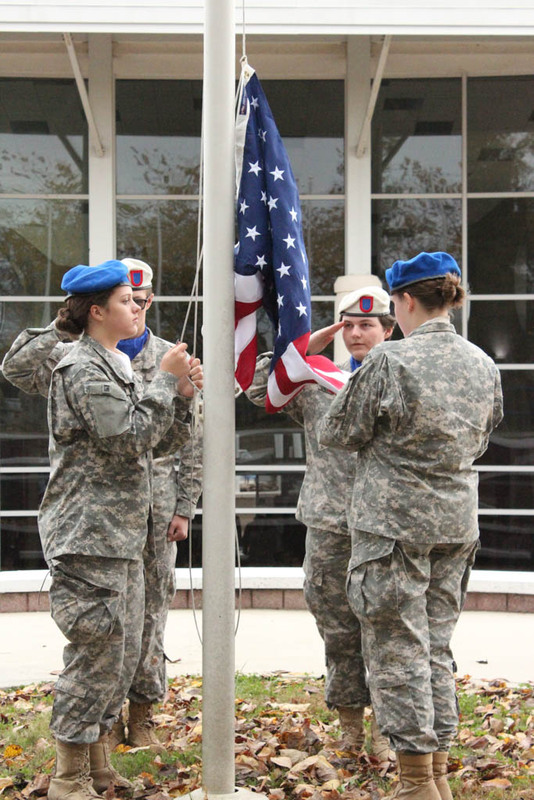 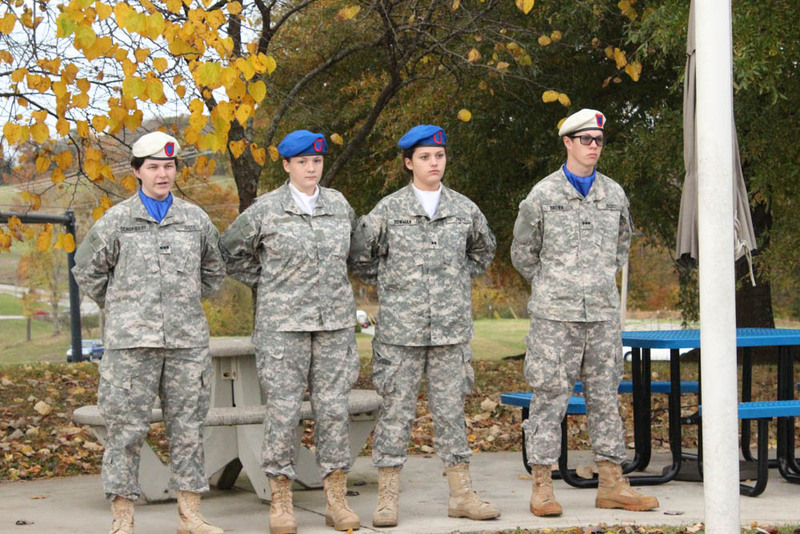 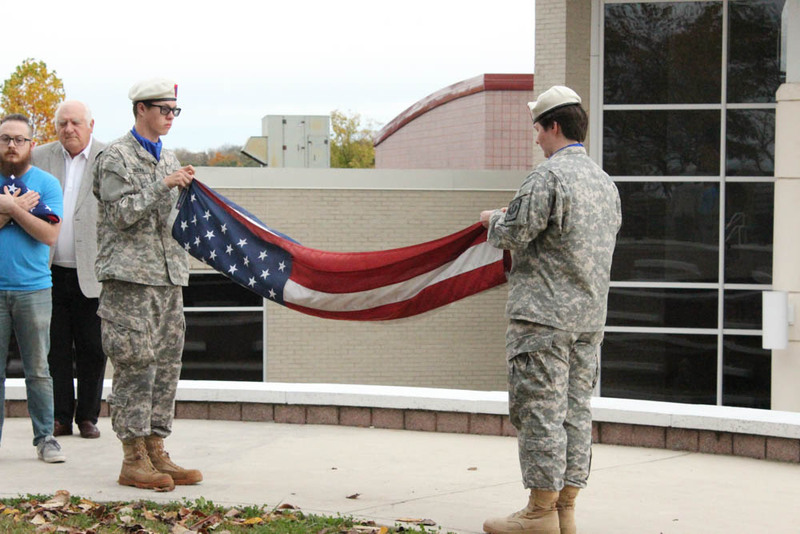 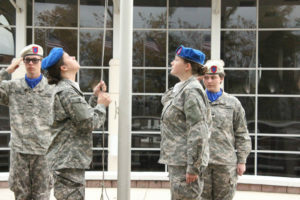 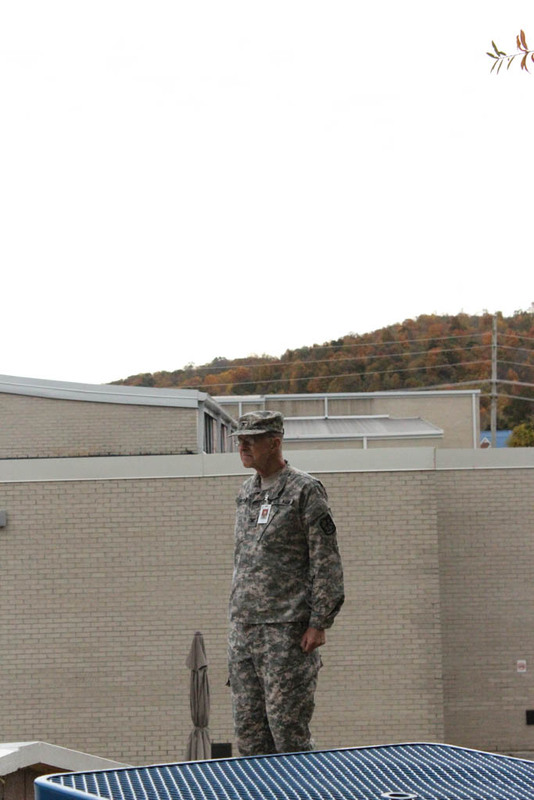 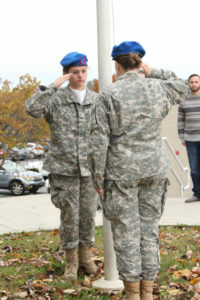 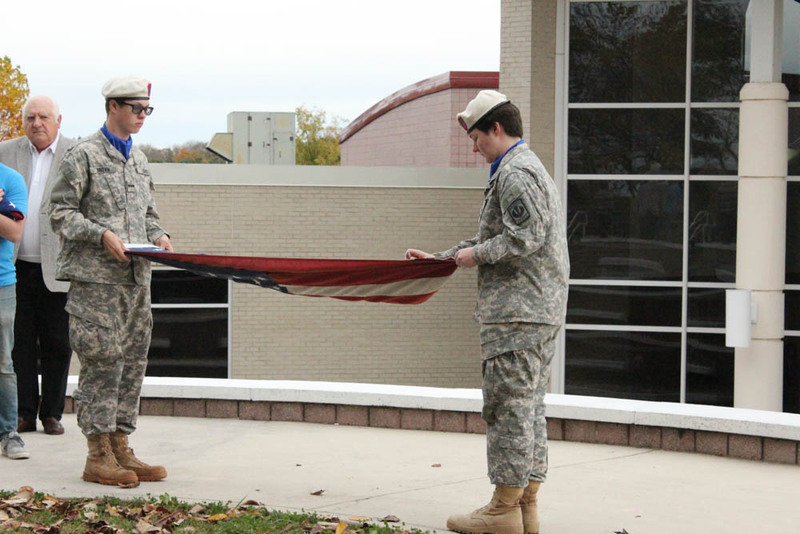 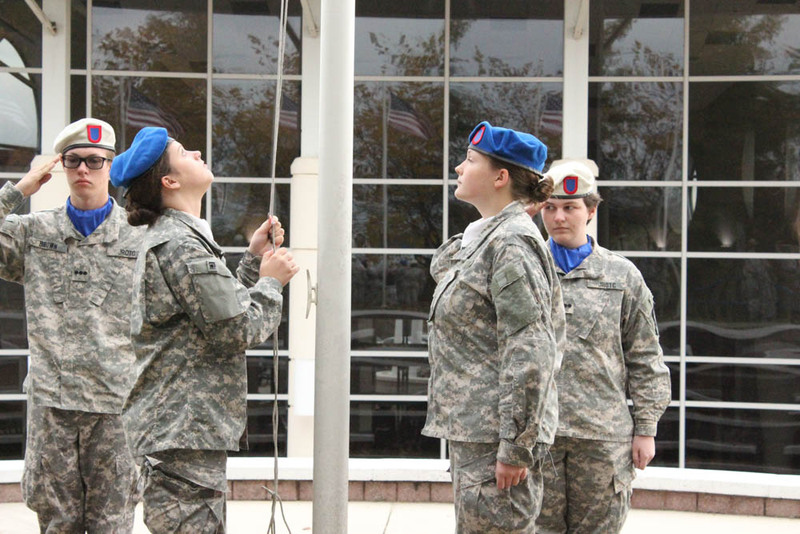 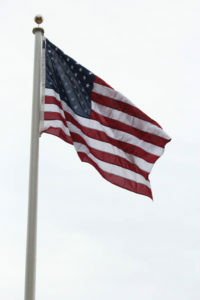 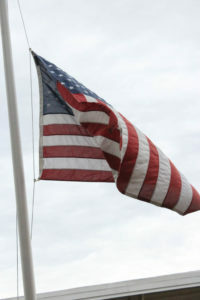 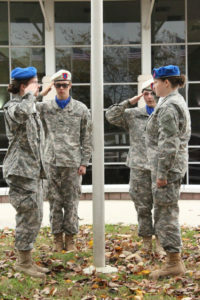 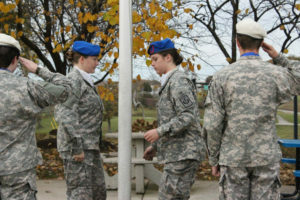 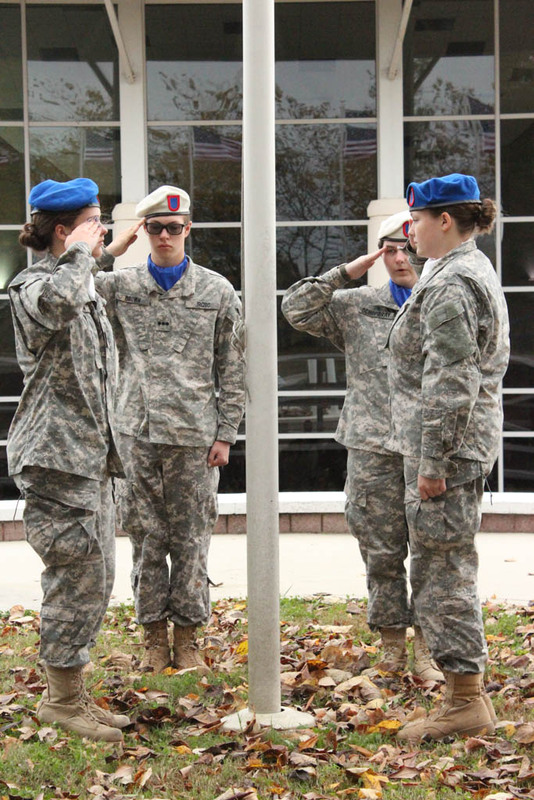 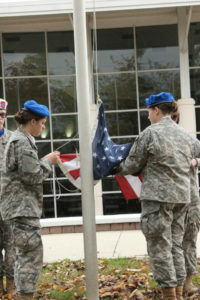 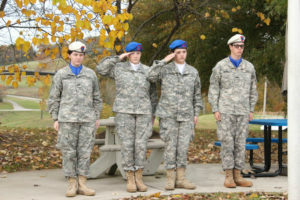 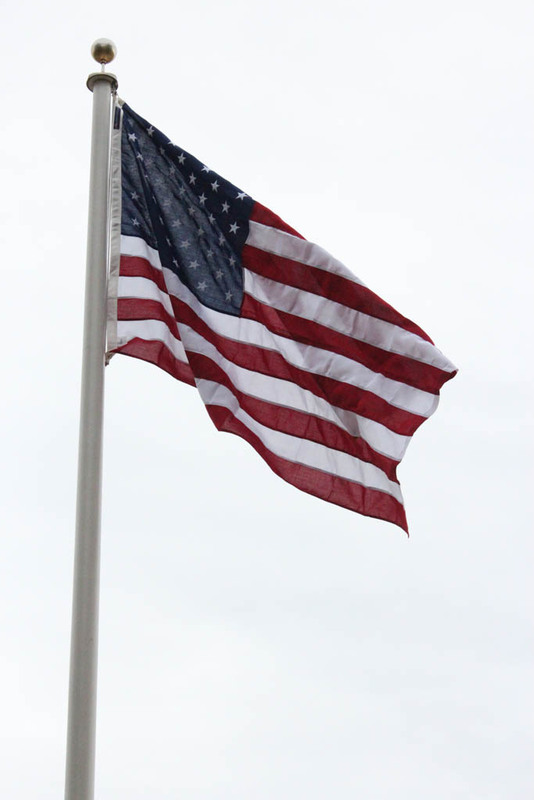 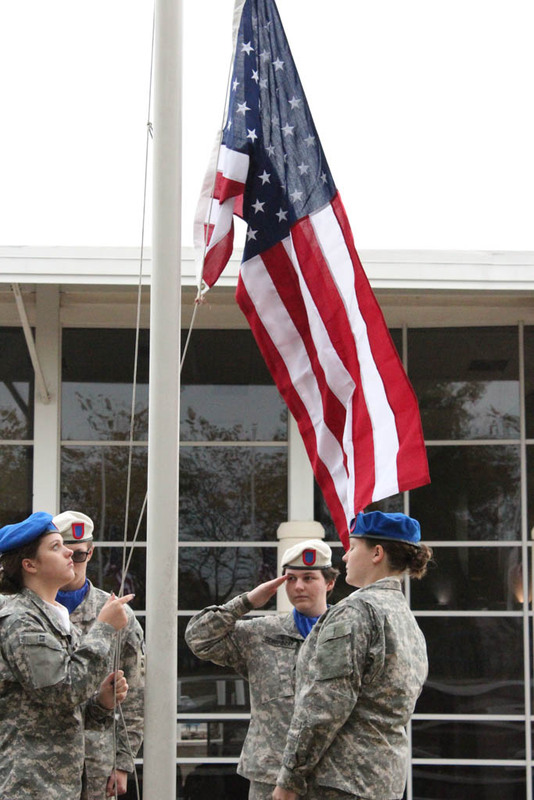 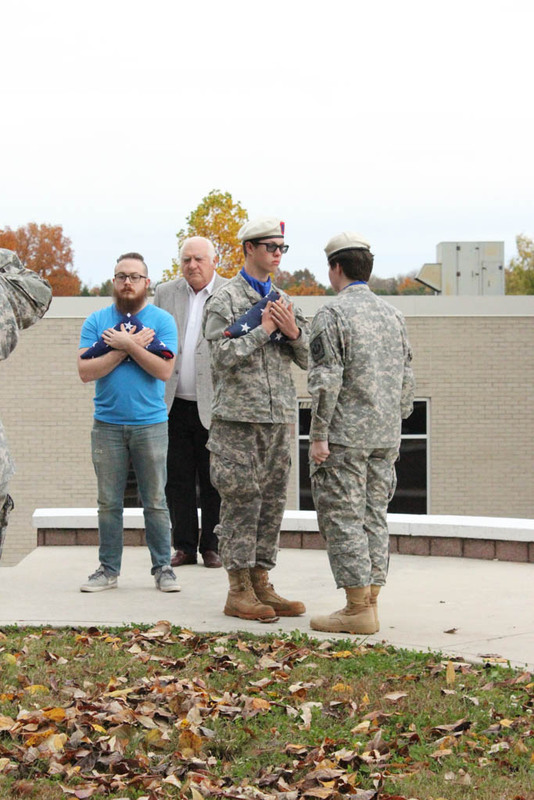 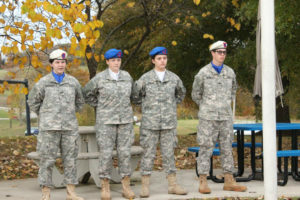 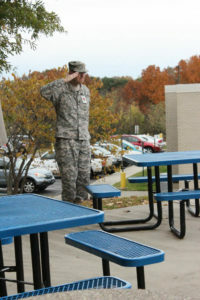 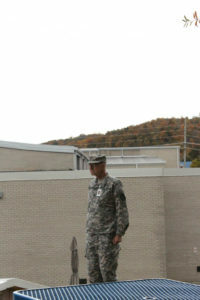 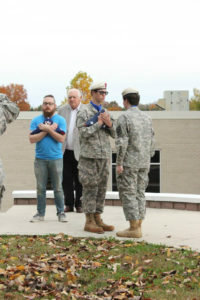 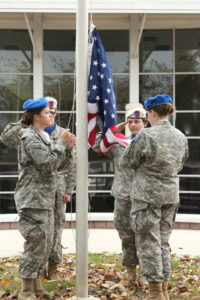 A flag changing ceremony was led by Cookeville High School JROTC students with assistance from the CHEC Veteran’s Club. 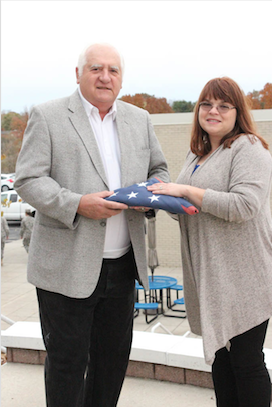 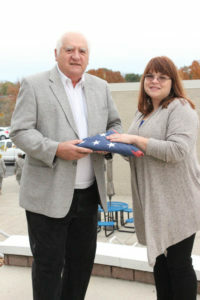 The retired flag was presented to local veteran Ron Rami, a retired Tennessee Tech employee who served in Vietnam. CHEC offers classes and programs from Volunteer State Community College, TCAT, and TN Tech. 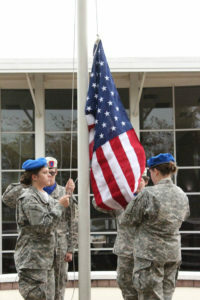 For more information visit www.cookevillecampus.org.